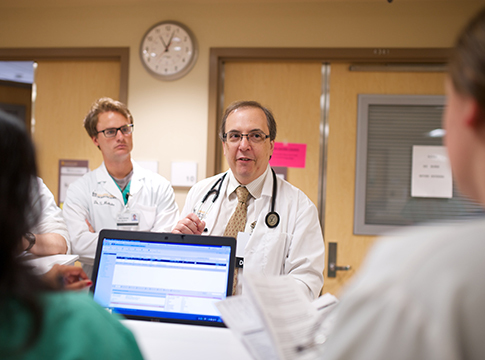 The Division of Cardiovascular Medicine of the Department of Internal Medicine at the University of Iowa has a 3-year fellowship training program emphasizing preparation for those interested in pursuing a career in academic cardiology. Fellows experience comprehensive clinical training with opportunities to pursue basic and clinical cardiovascular research. Further subspecialty training is available in Interventional Cardiology, Electrophysiology, and Advanced Heart Failure/Transplant in addition to a variety of research disciplines. The Division of Cardiovascular Medicine has long been a cornerstone in the university’s strong tradition of medical excellence.